Fellow celebrities are speaking out in solidarity with Taylor Swift in the midst of the singer's groping trial against former DJ David Mueller. "Girls" star Lena Dunham, singer Nelly Furtado and actress Ashley Judd tweeted in support of Swift, calling her "fierce" and "powerful" and thanking her for standing up for women. "Proud of @taylorswift13 for her fierce & cutting testimony & her refusal to settle for being treated like property," Dunham wrote. "Her example is powerful." Furtado acknowledged that she had experienced staff at past meet-and-greets had made her uncomfortable. "Been in several meet n' greets where radio staff attempt to cross lines. 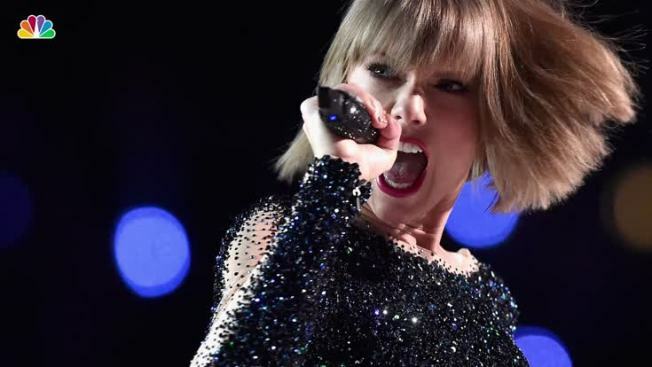 Love @taylorswift13 for fighting 4 women's safety in the workplace," Furtado wrote. Judd, who recently spoke about "everyday sexism" that she experienced in an encounter with airport security, thanked Swift for "taking a stand." On Friday Swift's former bodyguard testified he saw Mueller reach under her skirt a moment before a photographer snapped their picture during a meet-and-greet where the singer says the radio host groped her. Dent's account came on the fourth day of testimony in a civil trial over dueling lawsuits between Swift and Mueller, who denies groping her and is seeking up to $3 million from the singer-songwriter, her mother and their radio liaison to compensate him for his ruined career.